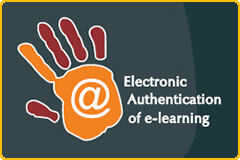 The main aim of the project is to identify dynamic ICT solutions that will assist in the assessment and authentication of e-learning. We would like to initiate a project which explores the use of emerging technologies such as biometrics, public key infrastructure (PKI), network forensics and smart cards. The project therefore aims to overcome the problem of ensuring that the designated learner on the programme is actually the person undertaking the assessment. In addition, the partners will develop a system to allow for the streamlining of the assessment process.